Len: I don't usually listen to Kristen's advice about books. Just kidding. I don't usually listen to Kristen's advice about anything. definitely kidding. Seriously, she put Illuminae in my hands and insisted I read it. I'm in her debt. This is the best sci-fi I've read in 20 years. Don't be put off that it's markted as young adult. While the protagonists are teens (not counting the incredly complicated and wonderfully drawn sentient AI), the story will appeal to science fiction fans of all ages. It's also one of the most beautiful books ever produced. Just like some movies (Avatar) need to be seen on a big screen, some books need to be read in hardcover. 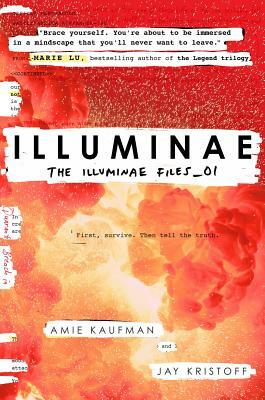 Illuminae is a work of art in every conceivable sense. Is is an artifact to be treasured. We'll be giving this one as a holiday gift.